Human-piloted ornithopter - a ‘flapping-wing aircraft': Prof Jim De Laurier and his research team have been pursuing humanity's oldest aeronautical dream: flight with mechanical flapping wings. The full-scale ornithopter flew on July 8, 2006 and made an historic achievement of being the first human-piloted aircraft in the world to sustain flight for 14 seconds, covering a distance of over a third of a kilometer. Final-year undergraduate aerospace design projects: Students work in groups of 25 under the leadership of several faculty members. Recent project include: Unmanned Aerial Vehicles for applications ranging from monitoring ice flows, to geophysical surveying; Micro Satellites for remote sensing applications such as forestry management or issues associated with Arctic surveillance; and design and demonstration of novel motion platforms for aircraft simulation. This is a senior year course in the undergraduate Engineering Science Aerospace Program. The course gives a chance for students to put into practice the subjects they have learned throughout the program, such as aerodynamics, structural mechanics, propulsion, and stability and control of aircraft. The objective is to design, build and fly an electric-powered remote-controlled aircraft. Students work in teams of three to four, and are assigned a specific configuration (conventional, canard, or flying wing). The final evaluation of the projects is based on progress presentations, a report, and a flight test. The score for the flight test is based on a combination of speed and payload capacity. More photos of last year's flight test can be found at: flight photos. 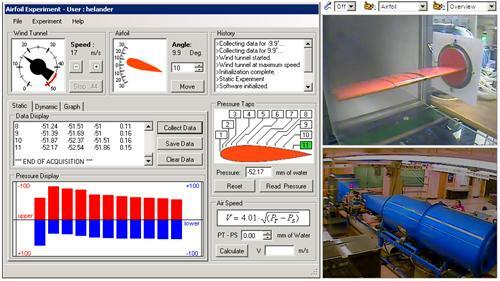 Remotely accessible aerospace undergraduate laboratory: Students are able to logon to physical experimental facilities, receive the instructions through live or recorded video communications, set up and run the experiments while observing the entire process through audio-video streaming devices, analyze the data, and prepare and submit their report on-line. This project offers students flexible schedules to access and perform experiments. It also provides a gateway for collaborations with other universities. Image: subsonic flow around an airfoil. Each autumn, an ancient call penetrates the crisp dawn air as juvenile Whooping cranes led by Operation Migration's ultralight aircraft take to the skies on the biggest adventure of their young lives - their first migration. Since this project's inception in 2001, Operation Migration has successfully taught seven cohorts of endangered Whooping cranes a migration route, and is more than half way toward establishing a self-sustaining population. Wildlife biology professor, David Bird, and M.Sc. 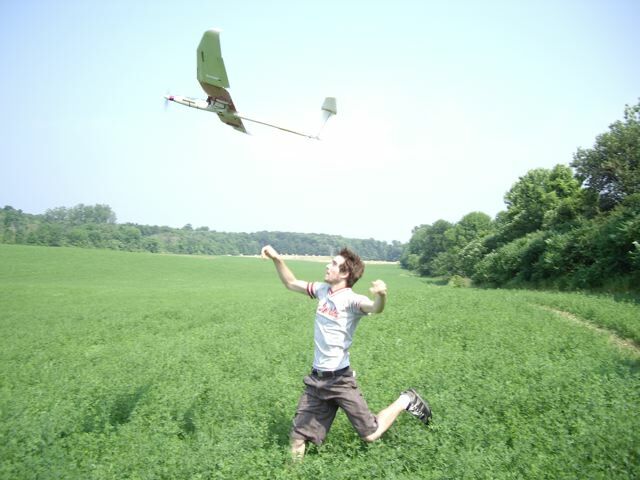 student, Dominique Chabot, are among the first in North America to apply unmanned aerial vehicles (UAVs) to the field of wildlife research and management, which is aimed at cutting costs, improving accuracy, and reducing disturbance levels compared to the current use of full-size manned aircraft. Wildlife population counts, remote sensing, habitat mapping and nuisance animal control all figure among the potential applications under investigation.